SeaWorld, the once-popular and still well-known theme park company that gained fame for their trained aquatic animal shows, has been under intense scrutiny over the last several years in the wake of a documentary that was released in 2013 called Blackfish. This documentary focused on the cruel treatment of orcas, dolphins, sea lions, and other animals in the care of SeaWorld, as well as the death of a trainer who was killed by a male orca. SeaWorld has been attempting to regain their popularity since the release of the documentary, but their efforts have proven to be ineffective overall. For the longest time, SeaWorld had a reputation that was essentially positive. Perhaps this was due to their ability to maintain decent efforts to make their animals as comfortable as possible, but most of it was due to the fact that most of their shadier dealings were never highly visible to the public. It wasn’t until the July 2013 release of the film Blackfish that some of those practices were thrust into the public eye. In an effort to maintain park attendance, SeaWorld recently announced they would be restructuring their brand to focus more on conservation while moving away from trained-animal shows. This is the result of intense efforts to find ways to turn around several years in a row of falling attendance rates and revenues. The brand no longer offers a theatrical experience for their killer whales, but they have started to unveil an Orca Encounter experience that allows park patrons to interact with the orcas in a safe environment totally separate from the whales. In another move to win back some positive public opinion, SeaWorld announced they would be ending their captive breeding program. Of course, this may prove to be a surface solution since they already have nearly 30 orcas, and one of those orcas is pregnant. Orcas can live to be 60 years old easily, so unless the whales have unnaturally short lives or they are released to the wild, SeaWorld could easily be around for many years without the need for an active captive breeding program. With less emphasis on the orcas shows, patrons who had no ethical issue with the circus-style performances stopped attending the parks because SeaWorld suddenly didn’t offer what they wanted. Unfortunately for SeaWorld, this move came too late since they had already lost the customers who did have an ethical issue with the shows. It takes much more effort to bring back patrons than it does to lose them, and SeaWorld is losing patrons at a rate far greater than they are bringing them back. While SeaWorld does attract visitors from all over the nation, it tends to survive on local patrons for the majority of their business. Local attendees are usually a regular source of income for theme parks, but the backlash from Blackfish has affected every demographic for the brand. In just a single quarter in 2016, the company saw a decrease in attendance from the previous year of nearly half a million across all their parks. It was such a severe decrease that the company was forced to release a statement to their investors that the full-year profit projections were going to be about 25 million less than expected. 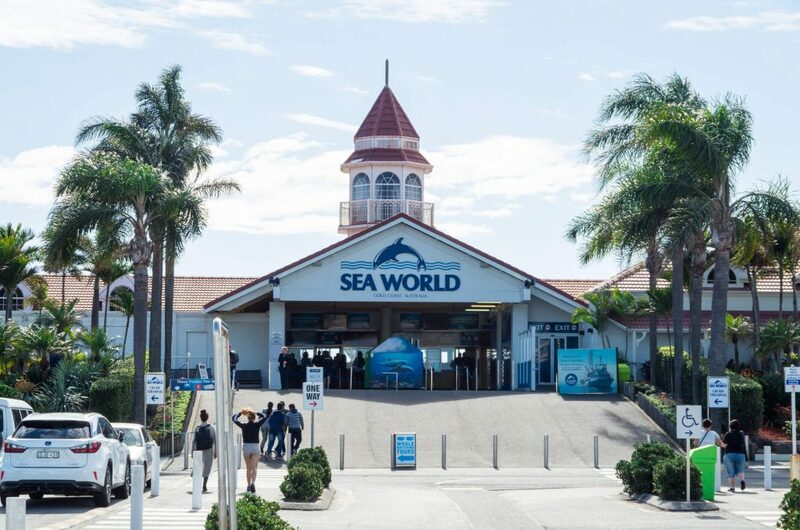 It is no surprise that decreases in the brand’s popularity would affect attendance from all groups, even local attendees, but the sort of losses that have been seen show that SeaWorld is losing many regular attendees every single year. Share prices continue to fall as the brand deals with less revenue and wavering public opinion. Since the halting of the orca shows and the massive amount of work done by SeaWorld to bring back their positive image, the theme parks have seen their losses almost level off, but they still have quite a long way to go before they could be called stable. One thing that Blackfish certainly did was to bring the issue of marine mammal captivity and the realities of it to the mainstream. In much the same way that the Ringling Brother’s circus failed to evolve in a world that doesn’t tolerate animal cruelty, SeaWorld could easily become a contentious point within society. The public has essentially decided as a whole that it is opposed to the idea of confining aquatic mammals in large water tanks made from white concrete simply so they can perform tricks for the entertainment of people. Even with SeaWorld’s cessation of their captive breeding program, the brand is still seeing declines in attendance. According to PETA, the primary opponent to the activities of SeaWorld, the public has finally realized that these animals don’t deserve to spend their lives in relatively small tanks. It can make the animals unstable, and they often experience physical side effects like bent fins. They can even lose teeth by grinding them on metal bars in their tanks. Public opposition to the methods that SeaWorld used to generate their initial popularity is higher than ever, and if they want to survive the change of public opinion, they will have to make drastic changes to their immediate and long-term practices. Unfortunately, as much as they want to make it seem as if their primary focus is the treatment of the animals, they are first and foremost a company, and companies are bound by profit.